Customized thresholds and saddles manufactured from natural stone can be difficult to find. Special sizes and shapes are required for the unusual design layouts seen in building plans for resorts and spas. 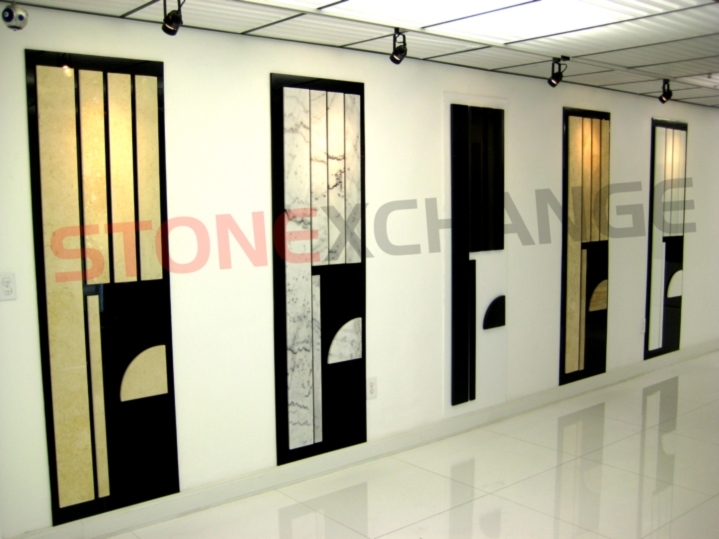 The best source for bulk orders of marble thresholds is a direct importer and distributor such as StonExchange. One of the biggest challenges for designers and architects is the creation of an interior that incorporates thresholds or saddles as accents. If stone tile is used as a flooring surface, accents that complement nicely include marble sills, shower curbs, and thresholds. Marble is the preferred material because it gives the interior space a look of elegance and sophistication. Contractors who are given the job of installing thresholds in resorts and hotels often have difficulty locating the specific length, width, and texture. 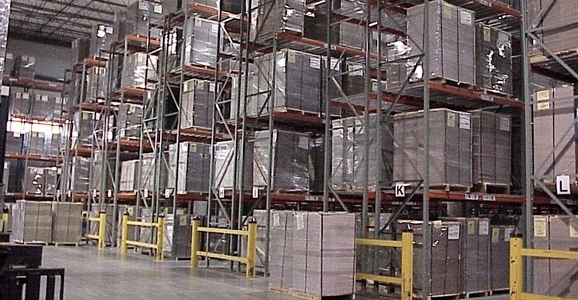 When these products are ordered in bulk from a direct distributor, the costs are reduced significantly, and the entire order can be delivered to the job site in a single shipment. Contractors often rely on home improvement chains, flooring supply retailers, or direct importers for obtaining a large supply of marble product. A resort community is full of suites and guest rooms, luxurious baths and showers, and nicely appointed common areas such as gaming rooms and reception atriums. These rooms are often custom-designed and require some careful planning on the part of those contractors installing the flooring tiles, carpets, and thresholds. Installers are under enormous pressure to bring in a job on time and on budget as per the contract with the construction company or resort management. When the per-piece cost is reduced through bulk ordering from Stonexchange, the contractor is in a better position to place a lower bid. Custom sizes of marble thresholds are not available in bulk from most flooring outlets. However, some retailers have an account with a major import service that offers custom cutting and shaping on orders over 1,000 or more pieces. These orders can be delivered directly to the job site. Large orders placed with an importer guarantees the best color match. Marble is quarried throughout the world, but some of the best quality material comes from the southern part of Europe and from deposits found in Turkey. The problem with marble is its extreme weight, meaning high shipping costs for the distributor. Some of the marble distributors located in the United States have their own manufacturing operations located near the quarries. This means that large orders for thresholds and other stone products can be fabricated according the instructions giving by the client, packed into special containers for overseas shipment, and delivered to the distributor at a lower cost. Large shipments that are sent via transatlantic container vessels are charged according the number of crates and the space they take up. Full crates packed with hundreds of marble thresholds cost less to ship. This savings is passed along to the purchaser. Custom marble thresholds for resorts are often longer, wider, and thicker than the standard sizes normally held in inventory. This is not a problem for the importer because the non-standard size can be fabricated overseas and sent in bulk to the distributor. The per-piece cost is less than what is seen in most retail outlets, and the lead time for generating such an order is usually less than three months. Obtaining an accurate price estimate is essential for contractors wanting to figure out a job bid well ahead of time. This is why ordering custom sizes of thresholds in bulk makes good economic sense. Direct importers keep a large inventory of standard size thresholds/saddles in stock. Because these marble products are in great demand, most importers carry the popular styles on a continuous basis and place several large orders with their manufacturing partner each building season. Custom orders that call for thresholds thicker than 5/8-inch or in a length other than the standard 36 inches means placing a separate order and allowing time for the product to be cut and shaped overseas. A building plan may call for Hollywood-style beveled thresholds made from Galaxy Black marble. The building plan may require thresholds that are double-length or width. So long as a minimum piece count is ordered, the entire shipment can be processed at the manufacturing plant, sent via container vessel to the United States, and delivered to the client. A distributor that partners with quarrying operations is in the perfect position to design such an order. An accurate price quote can be give immediately, and the estimated lead time, shipping schedule, and delivery date can also be calculated. This gives the purchaser peace of mind knowing that the custom order of non-standard size thresholds will be available when the time comes for installation. 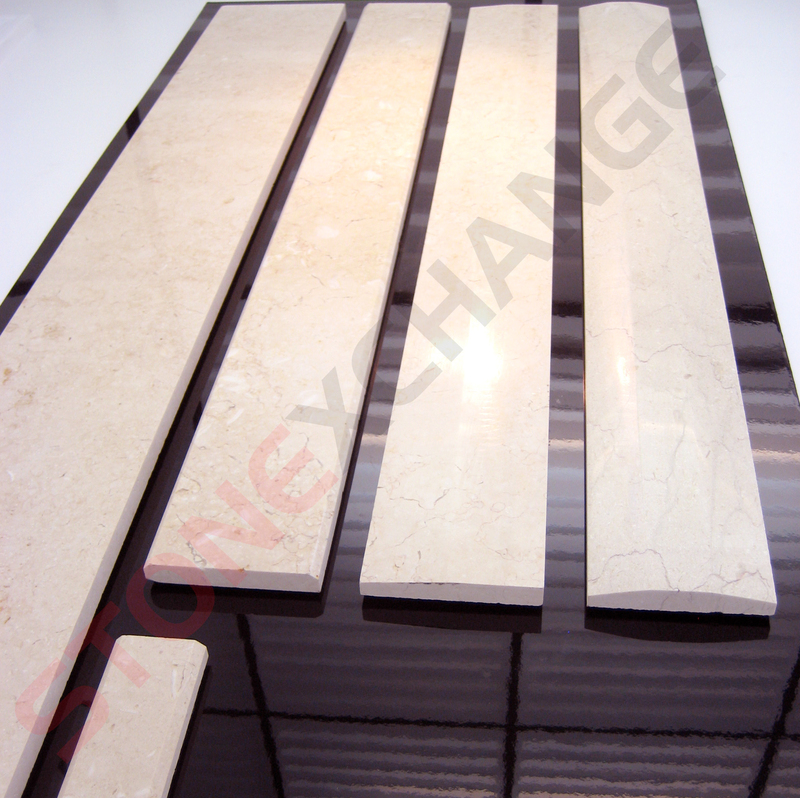 At Stonexchange, bulk delivery of non-standard size thresholds is a major part of our business. Because we work exclusively with contractors, home improvement centers, and large retailers, we offer our clients the ability to order in bulk at any time of the year, even during the winter season when construction activity is at its lowest. When a building plan calls for custom marble thresholds in a resort community, the installation contractor can rely on our company to deliver bulk orders promptly. We receive our full-crate orders at our Florida-based warehouse facility, perform a complete quality control inspection, and deliver the marble via overland freight to any job site address in the continental United States. Our partnership with some of the nation’s most reliable freight companies means lower domestic shipping charges for our customers. Non-standard size thresholds for large construction projects such as a resort community, hotel/spa complex, or upscale retirement home are manufactured from the same material as our popular flooring tiles and window sills. This means that a good color match can always be obtained when these products are ordered together. A large order of at least 1,000 pieces also means a good selection of textures, resulting in plenty of matching opportunities for each individual guest suite, bath, or living area. These orders are tightly packed into special wood or composite material containers and are guaranteed to arrive with minimal breakage. Most contracts specify up to 10 percent breakage as normal, but our customers normally experience far less damage to the marble because of the care we take in packing and shipping our product. Our company offers custom-size thresholds made from the same color styles as our standard product. We have taken the time to study the industry in detail to ascertain which color shades best match the most popular and commonly requested styles. Our Absolute Black Granite, Crema Sahara Marfil, and Nuevo White Carrara are chosen because they work well as a color match for the commonly requested shades listed on the building plans. We can fill orders for non-standard sizes that are shaped as single- or double-bevel, and we can instruct our manufacturer to cut thresholds at thicknesses greater than 5/8-inch. If the plans call for a deep-set installation of a thicker material, we guarantee that our products will meet ADA requirements for user safety. Most thresholds have a 1/4-inch single or double bevel. Some plans call for wider, more rounded curves. At Stonexchange, we specialize in designing custom-shaped bevels for our customers, and our representatives will be more than happy to review the job orders and make suggestions for a custom order. Because we work exclusively with construction companies, building contractors, and retail floor product merchants, we are in a unique position to fill bulk orders for large construction or refurbishing jobs. Not only do we offer the lowest prices for the world’s finest quality marble products, our direct import and distribution service means accurate calculation of delivery date, minimal damage, and in-house quality control. This is important when ordering bulk product because the purchaser needs assurance that plenty of color/patterning matches can be found. Trends in the construction industry often change, but we are active in researching the popular building materials, and we keep a close watch on what consumers are demanding. Therefore, ordering from us means receiving quality product that meets or exceeds expectations. We are aware that different styles of marble are popular in different parts of the country, and that different styles or shades are needed to create the effect intended by the designer or architect. The products we carry are guaranteed to match the styles specified in building plans. A large resort community may have as many as five different marble patterns specified in the building plans. This is especially true when the community has different categories of guest room accommodations. Whatever the style needed, our manufacturing center will match the color shade with the perfect material, even for those special custom orders mentioned previously. Take a close look at what we at StonExchange can offer. Check out our product pages and use our handy contact form to receive a quote on bulk shipment of fine quality marble thresholds.